Wrap Up In A Super Soft Blanket From American Blanket Co. If you are looking for a super soft blanket then you need to know about the Luxury Luster Loft series from American Blanket Company. It’s cozy, it’s soft, and it really keeps the heat in! After almost 12 years of marriage and 4 kids my husband and I decided it was time to stop trying to squish in our queen bed and upgrade to a king bed. I needed a new blanket for my bed so I went searching for a “super soft blanket” and ran into the American Blanket Company. They had sizes from twin all the way up to oversize king and in 3 different styles, Peaceful touch, Supple Touch, and Luster Loft. They all look really soft, but that Luster Loft blanket was suggested as the softest blanket available so I ordered one of those! 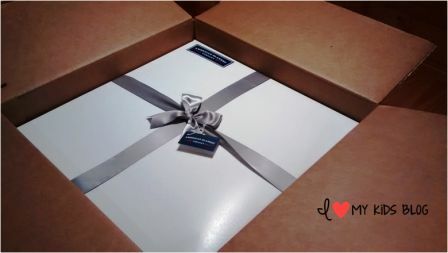 It came in just a few days and was wrapped up in a nice box with a bow, which makes this a great gift to give! You can even get it personalized! 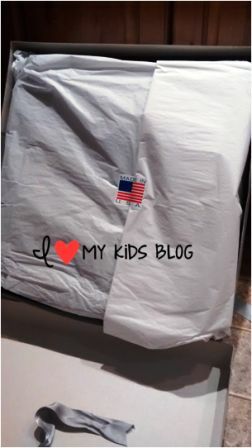 Inside the box, the blanket was carefully wrapped in tissue paper with a made in the USA sticker on it! I love that American Blanket Company will send you swatches of the blankets for free, so you can decide what color/style you want. They really take all the risk out of the ordering process! 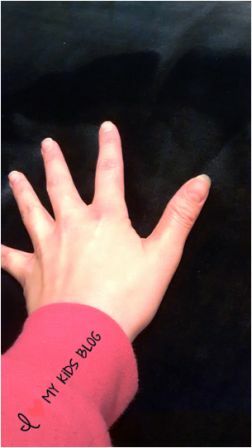 Once I removed the sticker and revealed the blanket, I noticed it’s deep rich color. I had chosen Patriot Blue Luster Loft to fit my king size bed. You can see in the picture how beautiful it is! What you can’t see in the picture, is how incredibly soft it is. I have never in my life felt something so soft! I sew often and comparing this to minky fabric, I’d say it is even softer than minky! The blanket is a fleece blanket, but it isn’t your average fleece that comes to mind when you hear fleece. It is so so so so so soft! This super soft blanket is HUGE! It was even larger than my kitchen and my kitchen is pretty big! I love the look of the blanket, it has such a pretty sheen to it in the light! 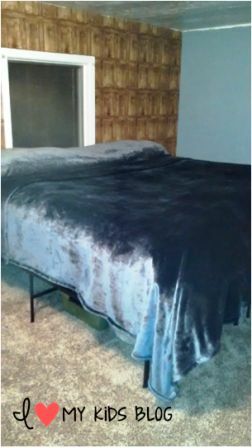 The king size luster loft soft fleece blanket measures 108 inches X 88 inches and fit my new king size bed perfectly! Do you see how far down the blanket goes on the sides and the end? At night I can’t wait to climb into bed because I know I am going to be wrapped up in the warm-heat retaining-super soft blanket! I haven’t gotten a new comforter for our king bed yet, so during the day I put this blanket on the outside and use it as our top blanket, so our bed will look nice. Well, I should re-phrase that, I TRY to put it on the top of the bed during the day, but often after we have our morning scripture study and I start getting my older kids ready for school. While I do that, my 4 year old will run into my room, swipe it off my bed, roll it into a super soft blanket bed for herself. Most of the time I find it NOT on my bed during the day. My 1 year old really loves it too. She has been sick this past week, so we have been doing a lot of time together in the rocking chair with this blanket. She will hold a piece in her hand and rub it on her little face until she falls asleep. This one blanket can cover my entire family of 6 on the couch when we do family movie night! My 9 year old said all she wants for Christmas is a blanket exactly like this! We are obviously in love and would recommend it. There are so many blanket options on this website to fit every budget. The throws start as low as $29 and the king size blanket I chose was $89. Totally worth it! There are 11 colors to choose from, so really this blanket can work for any room! 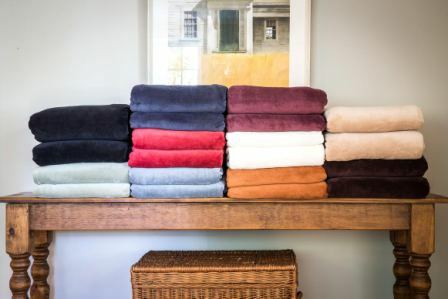 American Blanket Company does a free giveaway every other week on Wednesday! WOW, right? Check out their website here for details on how to enter! 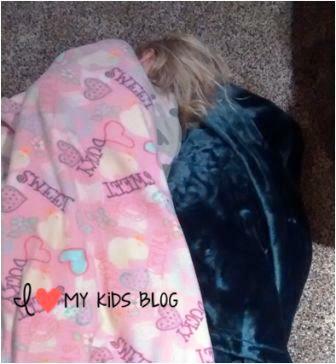 They’ve also offered to give away a blanket here on I Love My Kids Blog! HOORAY! To enter just fill out the Rafflecopter form below! I will email the winner (via the email submitted to Rafflecopter) and they will have 24 hours to reply. This giveaway will end December 3rd at 11:59 pm Eastern time and is open to US only. The prize is a luster loft blanket in twin, full, queen or king size-that is a prize valued at up to $89! Special thanks to American Blanket Company! It would be great if you could give them a little social media love by liking/following them-the links to their social media pages are int he Rafflecopter! Good luck! Congrats to Cindy B.! Enjoy your new luster loft blanket! Disclosure: I received the blanket mentioned above so I could form an opinion to share with you. Regardless of this arrangement, I was not required to give a positive review. All opinions expressed above are my own honest thoughts. Thanks for reading! These blankets looks so soft. I would love the Luster Loft in light Sea mist. I’d love the light grey one!! There is nothing that I love more then a super soft blanket! I would love to win this. I would choose the Luster Loft Fleece Blanket in chocolate. I would love Luster Loft in the palest pink! What a great find! This looks like just what my grad school son needs! I would choose a Patriot Blue colored blanket. I would choose Luster Loft, Sea Mist Green size King! I have been wanting one for like forever! Love cozy covers! I like the cotton ball color. Patriot Blue is my favorite color in a king size in Luster Loft Soft Fleece. Good Luck to all and thank you again. I’d love the queen sized Luster Loft blanket in Navajo White. Luster Loft in Golden Dune. Nothing better than wrapping up in one of these blankets on a cold winters day with my pup. 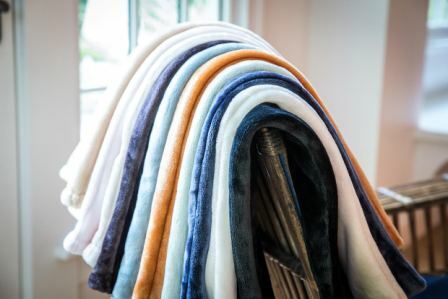 I would love to try one of these beautiful, soft blankets! I am such a sucker for a soft blanket and these look amazing! 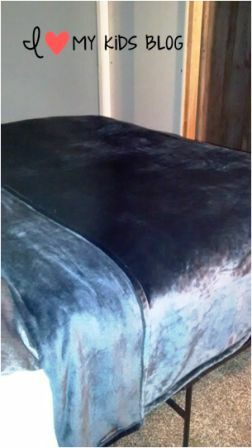 I would love the black king size luster loft blanket! I would choose the Navajo White blanket in King size. I have been trying to win the Luxury Luster Loft in Sea Mist Green since American Blanket Company started their giveaways! Luster Loft Blankets look amazing, I would love to try the Chocolate blanket. I’d love the Luster Loft in Patriot Blue, please! 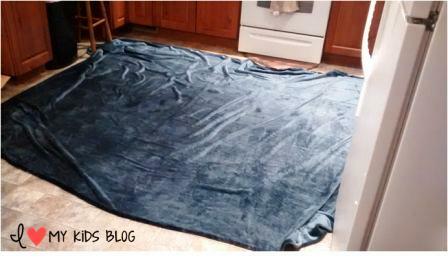 I would love to have a king size blanket in buxton blue color. I would love a luster loft one, and the color I love the most is the Buxton Blue. That would go well with my room. Sounds amazingly soft and warm. I would choose Golden Dune. My chihuahua always wants to be under a blanket, so I’d pick the Soft & Durable Dog Blanket in Autumn Orange for her. 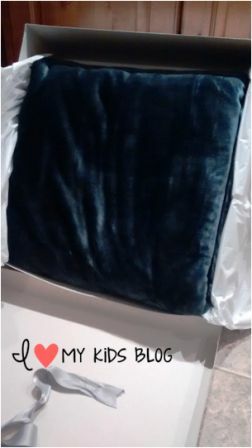 I would love the black luster soft blanket! The soft fleece in freedom blue looks nice. I like the light gray blanket! The blankets look so warm and soft! I would love a king size luster loft in soft gray. I would like a Patriot Blue color blanket. I would like the Luster Loft Queen size. I’m not sure what color I would pick. I love the light gray in Luster Loft. I’d have to get the largest size possible because there are always at least a couple animals “sharing” the blanket with me. And by sharing, I mean hogging! I would choose the Supple Touch in Maple Leaf Red. These remind me of the blankets my mom loved and she passed away this pass May and I only have one of her blankets. They look so soft and cuddly so I would love to win this Luster Loft. I would like to have one in Sky Blue. These blankets look so snuggly, and they are American made! I think the Luster Loft in Chocolate is beautiful. I would pick the Patriot Blue in full/queen size. These look super soft and so toasty warm. i love the chocolate one. so pretty and looks soft. These look so warm.I would love a queen size in black. I love the luxury soft in patriot blue. These look so cozy, I would love it in chocolate. Good luck everyone.